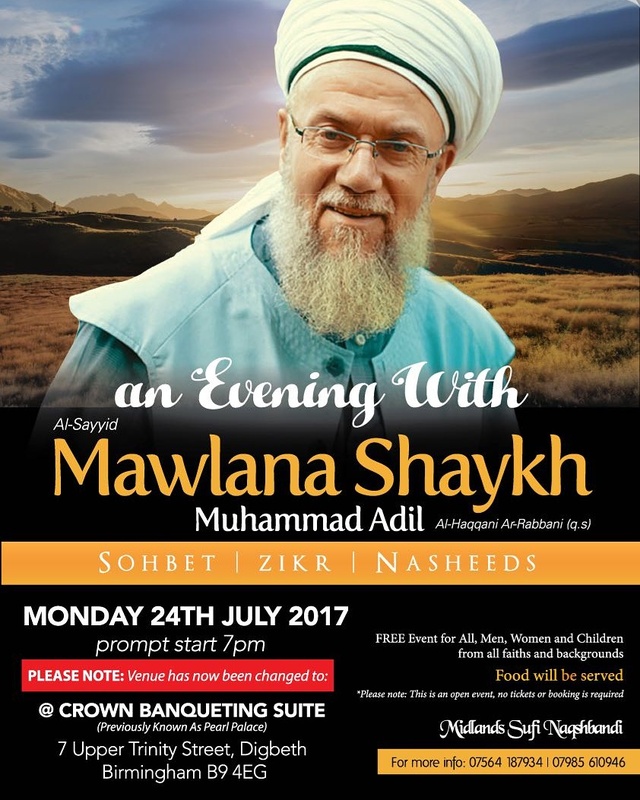 Due to circumstances outside the organisers control, there has been a VENUE CHANGE for Monday’s event with Mawlana Shaykh Muhammad Adil in Birmingham. 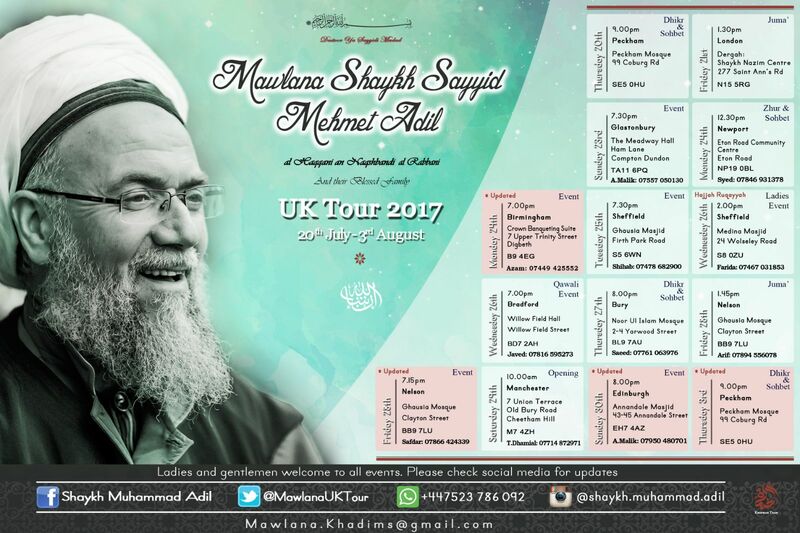 Please share and circulate these updated posters. May Allah reward you in the best of ways. Ameen.